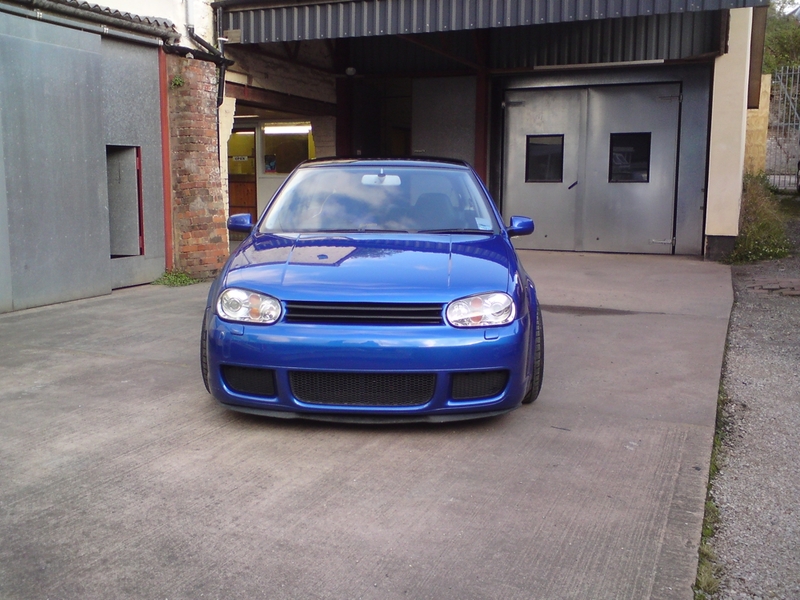 The Precision Paint team de-badged the bonnet, grill and bumper of this VW Golf R32 and painted the roof black. 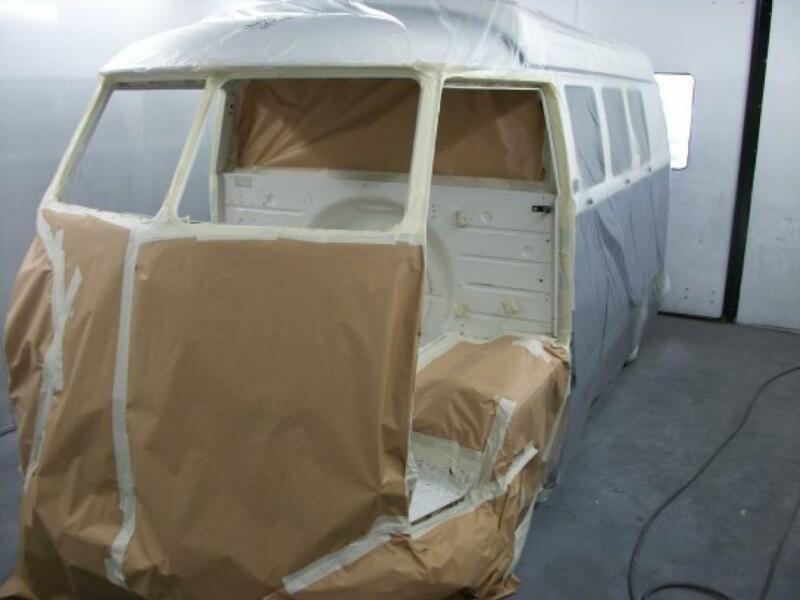 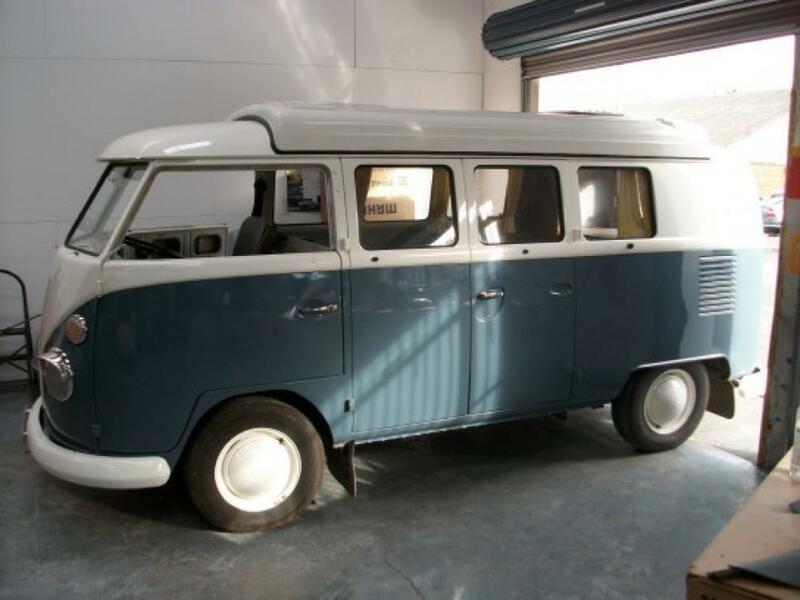 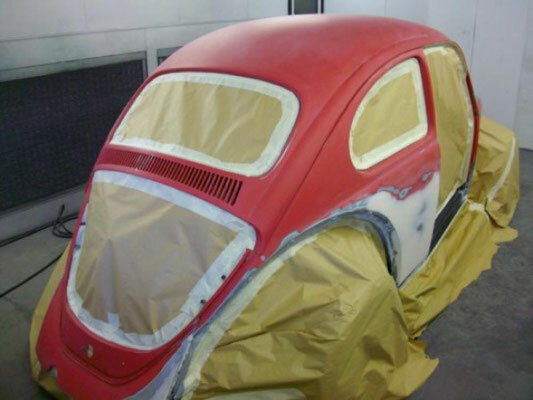 This rare split screen VW Camper was brought to the team at Precision Paint because the inside was tatty and rusty. 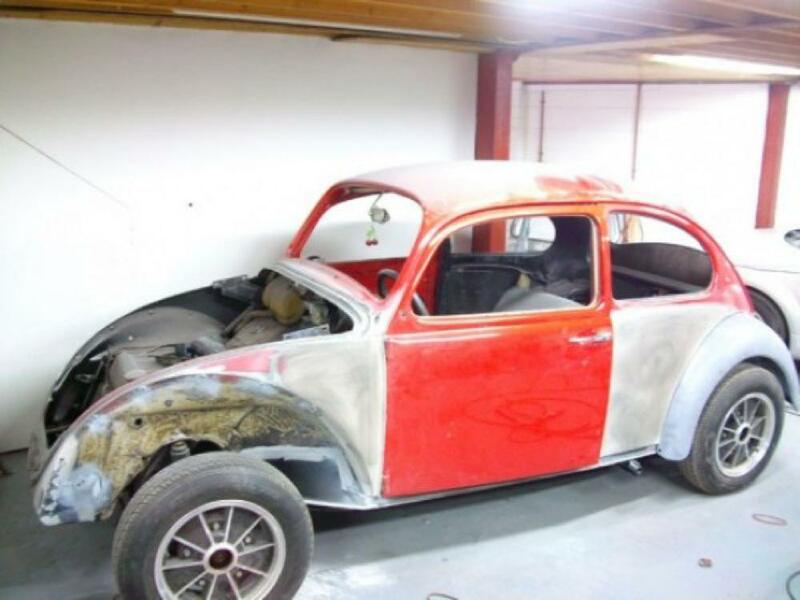 The new owner wanted it cleaned up and brought back to its former glory. 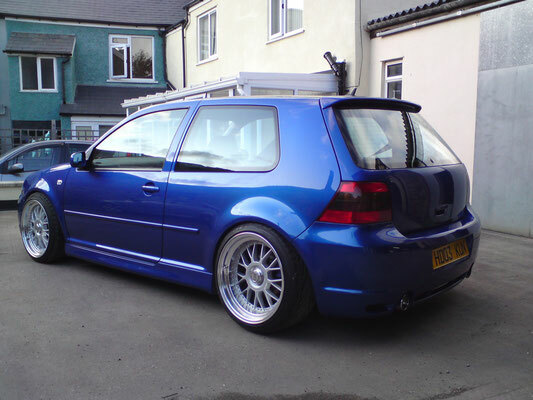 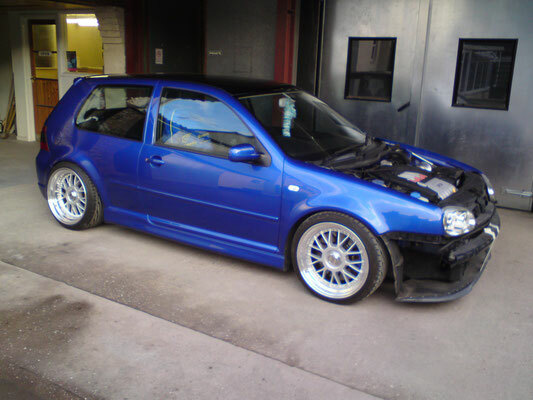 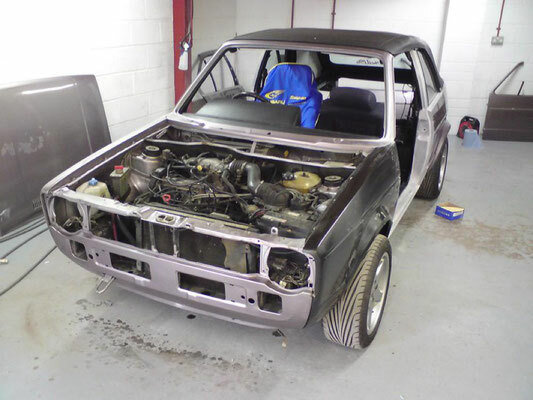 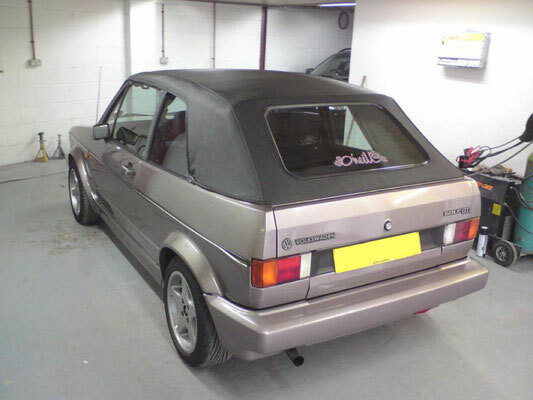 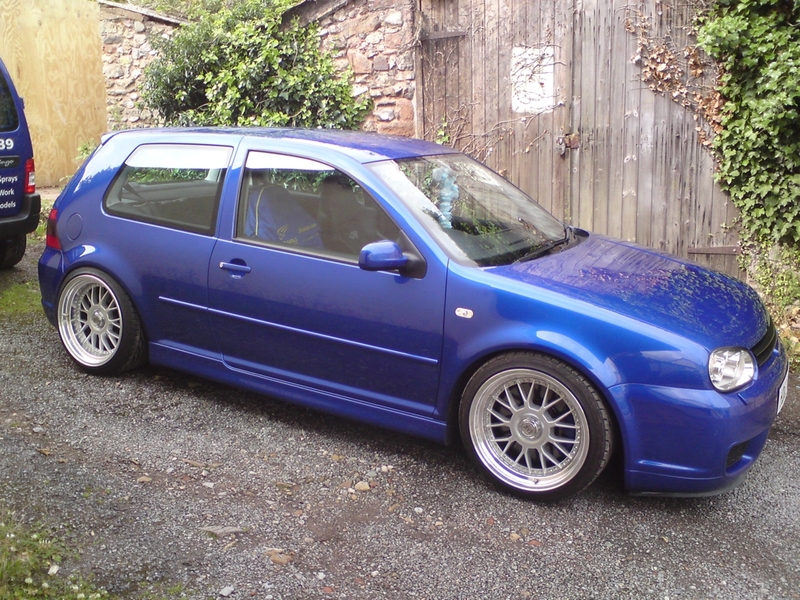 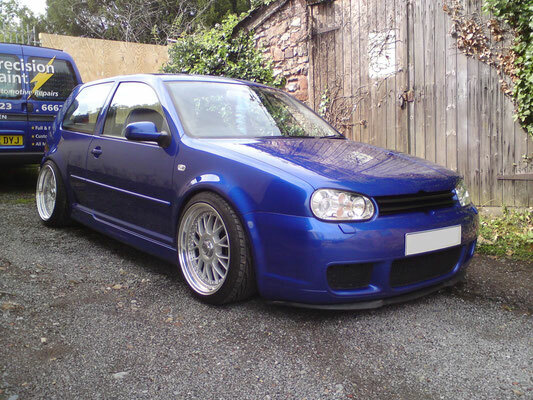 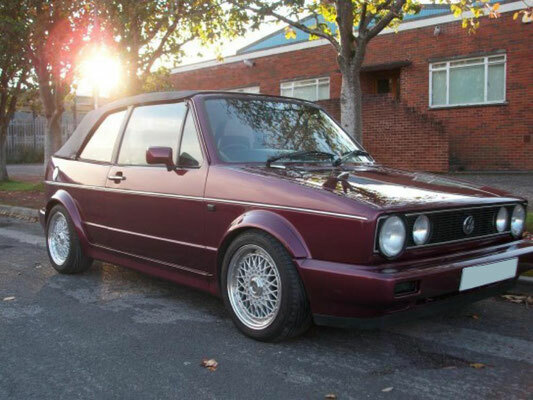 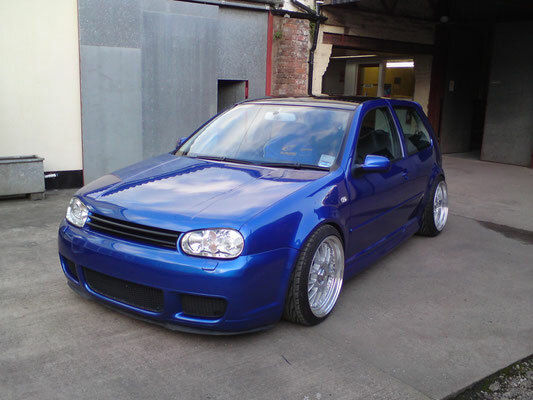 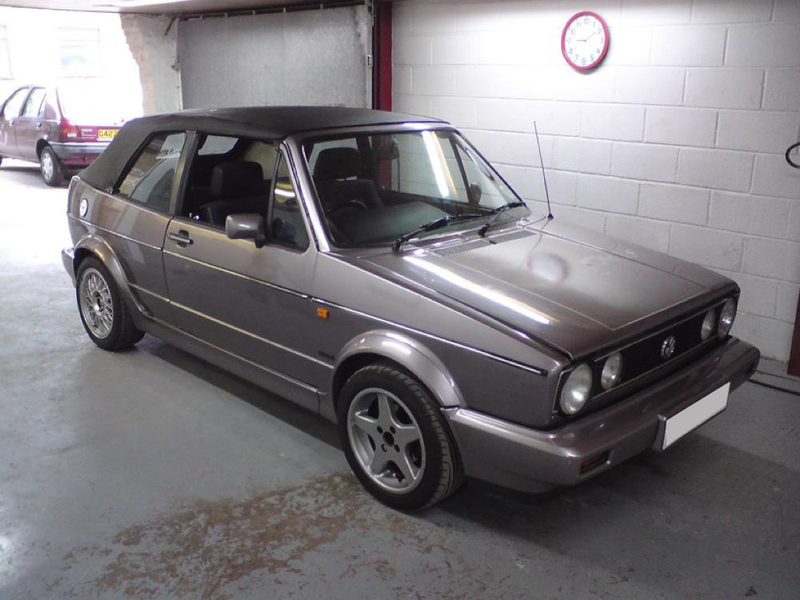 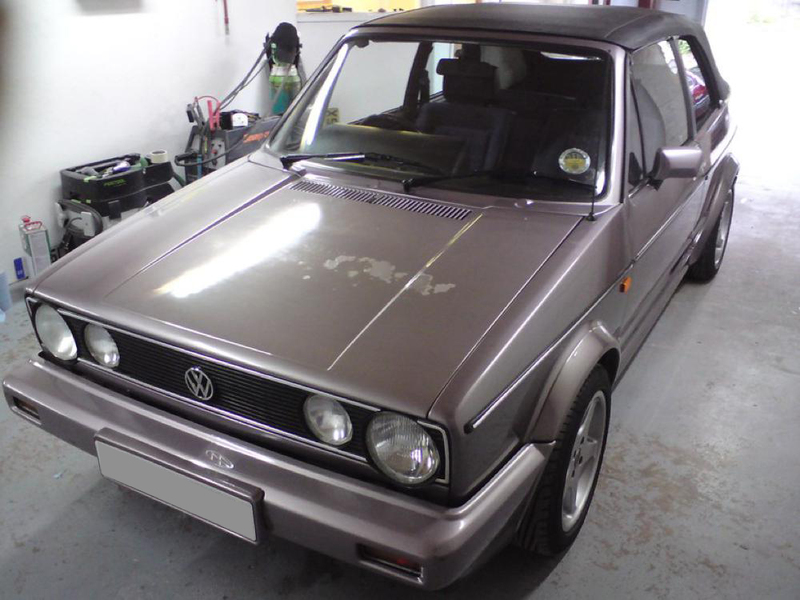 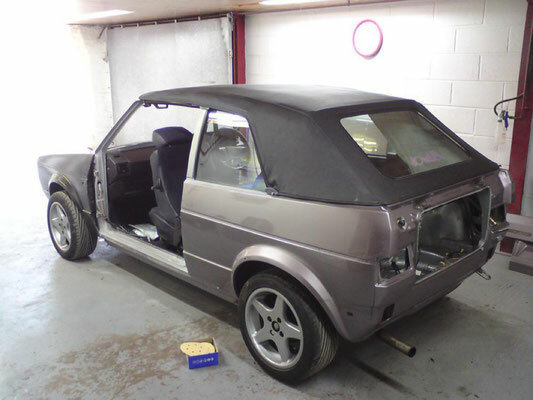 The owner of this Golf is VW Golf enthusiast and wanted to give her own a new lease of life. 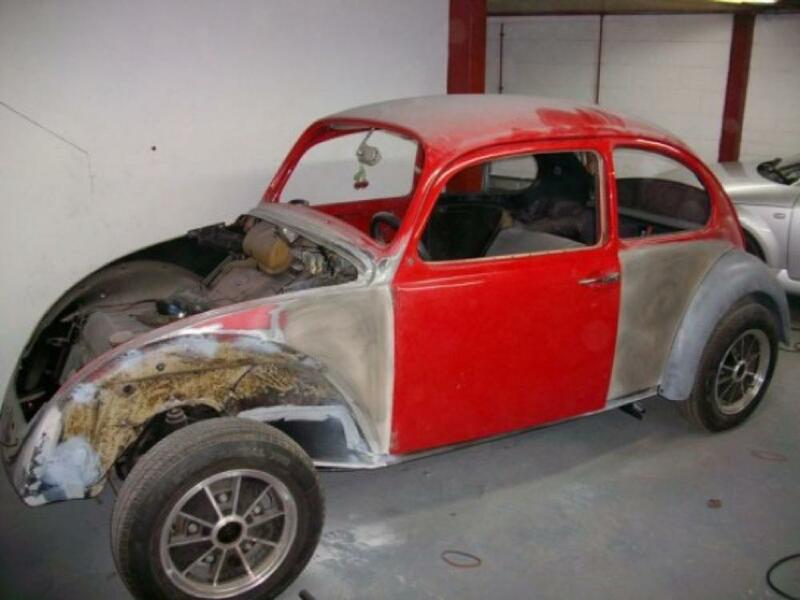 So, the Precision Paint team removed the rust and flakey old paint and restored the body and applied new paint in a colour that was specifically sourced to match her favorite colour of nail varnish! 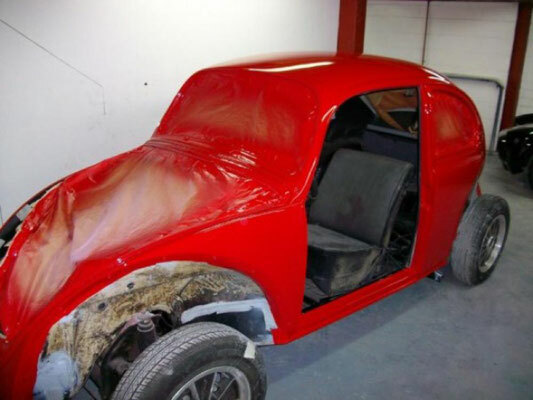 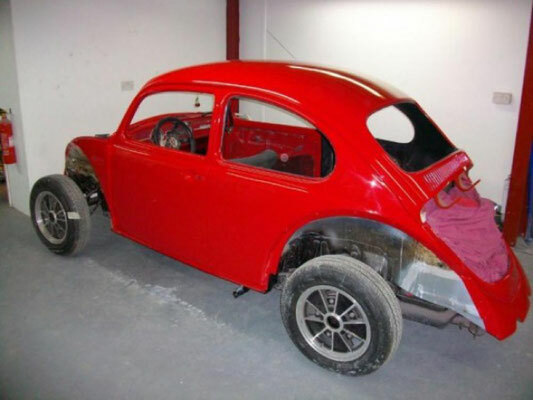 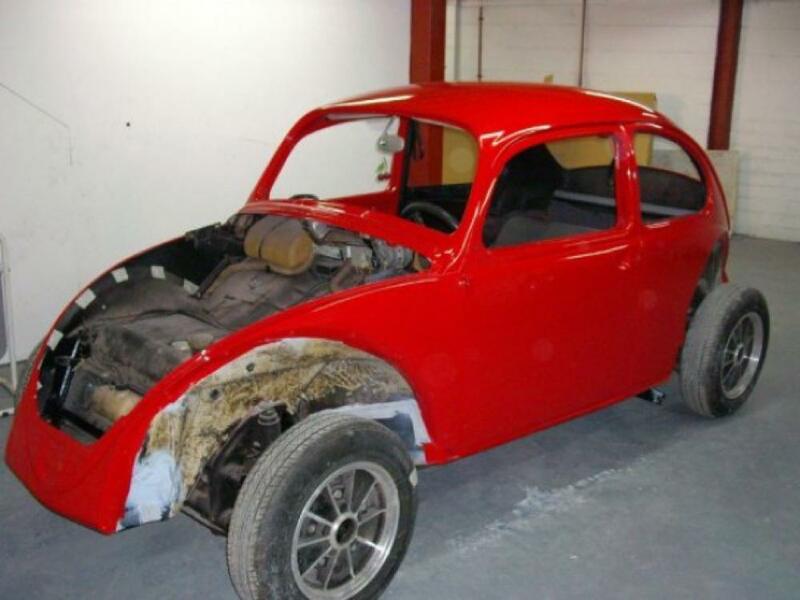 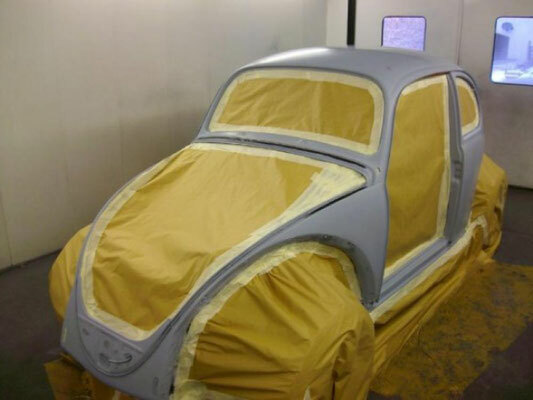 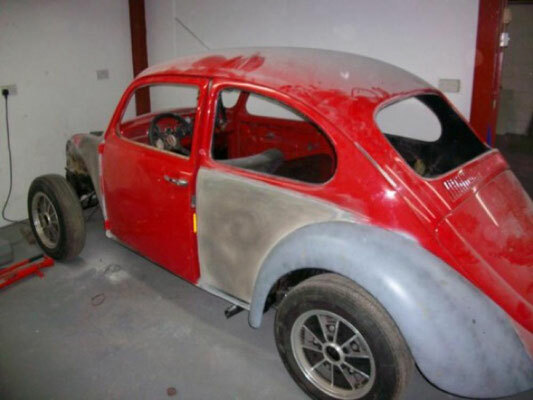 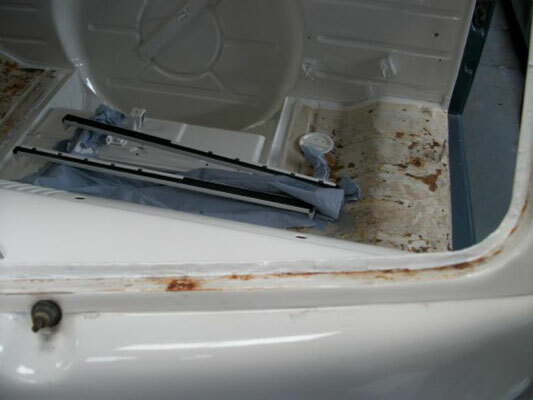 The owner of this VW Beetle brought the car to the Precision Paint team stripped down. 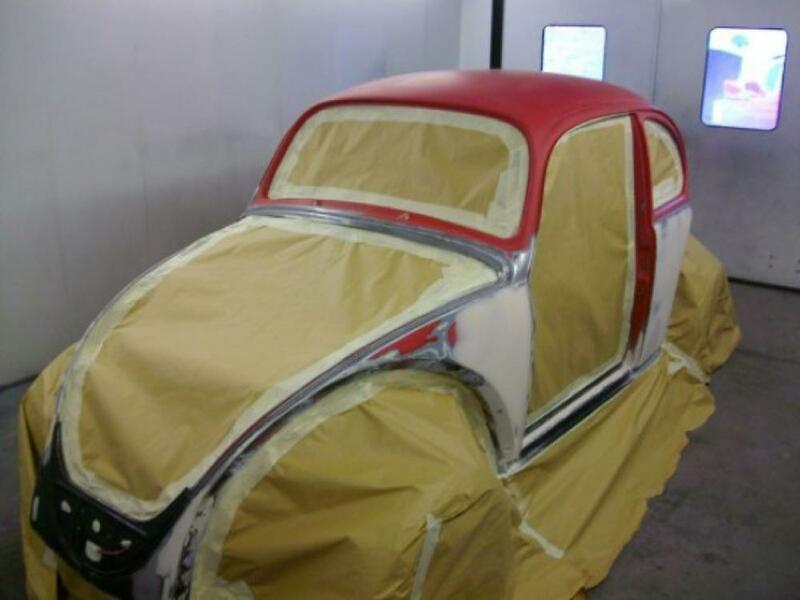 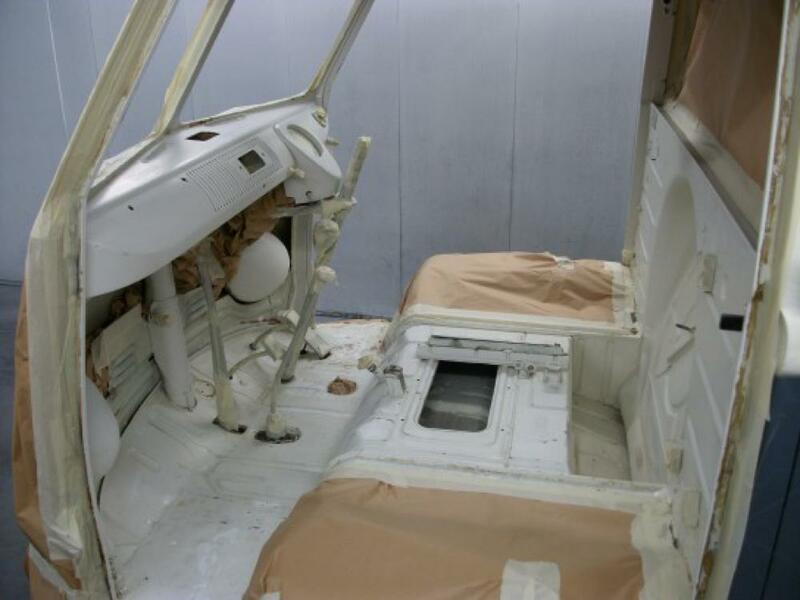 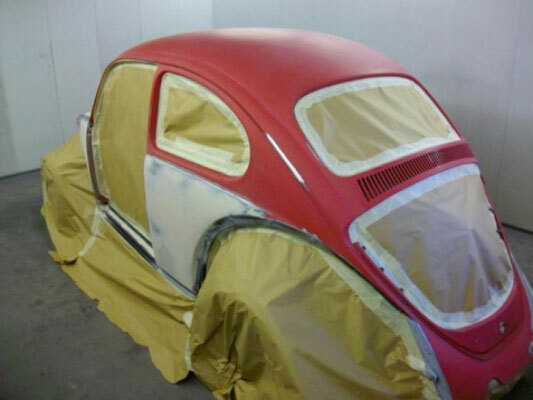 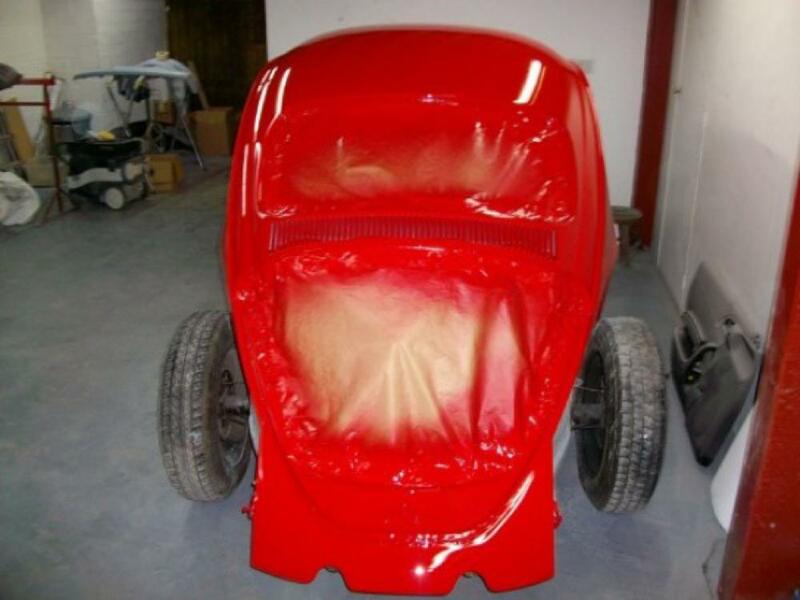 The Beetle was dry fitted and the team carried out panels the filler work. 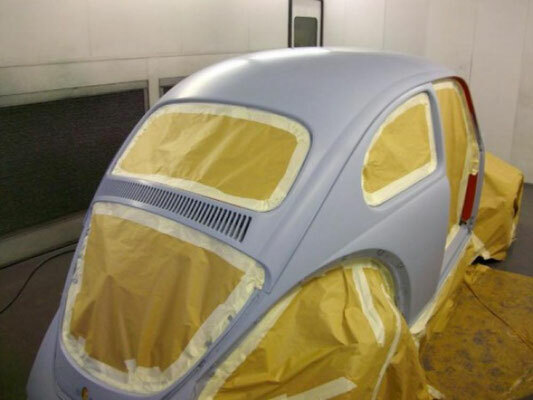 The doors were of an awkward fit, so Precision Paint carried out work to make them fit properly and sanded down the surface, whilst dry fitted to create a perfectly smooth surface, ready for the application of for the primer and paint. 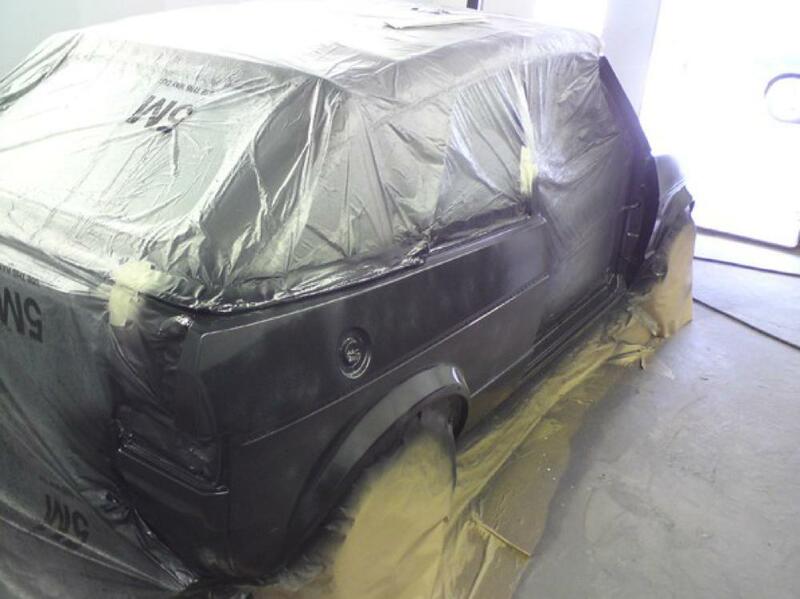 See our work in progress gallery below.